It all happened so fast, Peter Fichuk can’t say for sure how he ended up sprawled on the ice with blood spilling out of his mouth. There was a backhand shot by an opponent, and a follow-through that brought the stick high in the air. The stick’s blade connected with Fichuk’s jaw, that much is certain. The blow was hard enough to send one of Fichuk’s teeth flying to the ice. Another tooth was missing but couldn’t be found. A woozy Fichuk was helped off the rink. He would not return. International Falls was playing Richfield in the semifinals of the 1964 state tournament, and now, without their star center, the Broncos were in disarray. The Broncos managed to beat the Spartans 3-2, setting up a championship-game rematch with St. Paul Johnson. 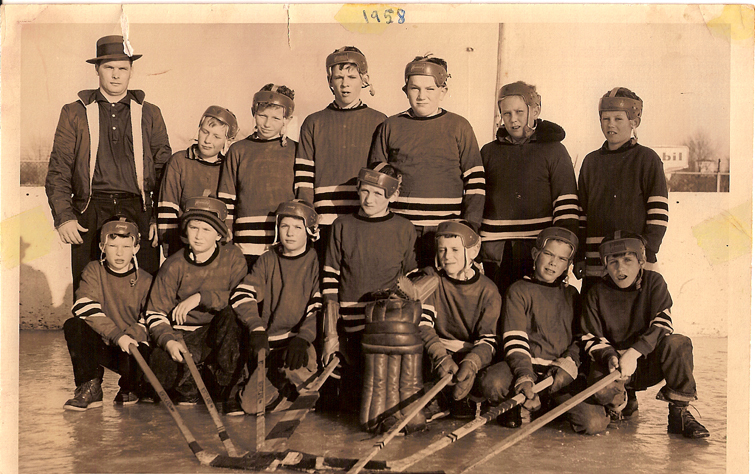 The Governors had defeated International Falls 4-3 in overtime to win the 1963 state title. “We weren’t even sure whether or not Pete was going to play,” said Curran, adding that early editions of a Twin Cities newspaper had announced unbeaten St. Paul Johnson as winning the title. Banged up and still in intense pain from the night before, Fichuk showed up at the St. Paul Auditorium and declared himself fit to play. St. Paul Johnson’s Greg Hughes and Fichuk each scored twice in the first period, which ended in a 2-2 tie. A skilled and scrappy 5-foot-9, 160-pound junior, Fichuk assisted on the Broncos’ first two goals of the second period. International Falls led 5-2 heading into the third en route to a 7-3 victory. Only after Fichuk returned home to International Falls did he discover the second missing tooth wasn’t missing after all. It had been shoved deep into his gums. 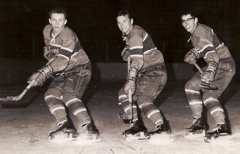 The following season the Broncos fielded a team some longtime fans and high school hockey historians would argue is the best the state has ever seen. Fichuk’s line returned intact from the previous season, as did an equally explosive trio of juniors in Tim Sheehy, Peter Hegg and Dan Mahle. There was no question International Falls had the top forward line in the state. The only debate was whether it was Fichuk’s or Sheehy’s. “Peter’s line was older, and those guys didn’t want to have anything to do with the idea of having the younger guys outplaying them,” Christensen said. “Larry Ross was the kind of coach who would let things go in practice, so yeah, it got pretty tough. Fichuk gave up 4 inches and at least 20 pounds to Sheehy. They played vastly different styles. 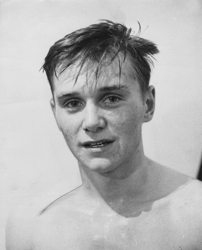 Sheehy was a flashy puckhandler geared toward scoring spectacular goals. Fichuk would use his speed to simply blow past opposing defensemen. He put as much energy into backchecking as he did his offensive rushes. “We all got by without killing each other, so it must have worked out,” Fichuk said about the daily scrimmages that offered more competition than any of the Broncos’ games. “It was total commitment and camaraderie and all that. 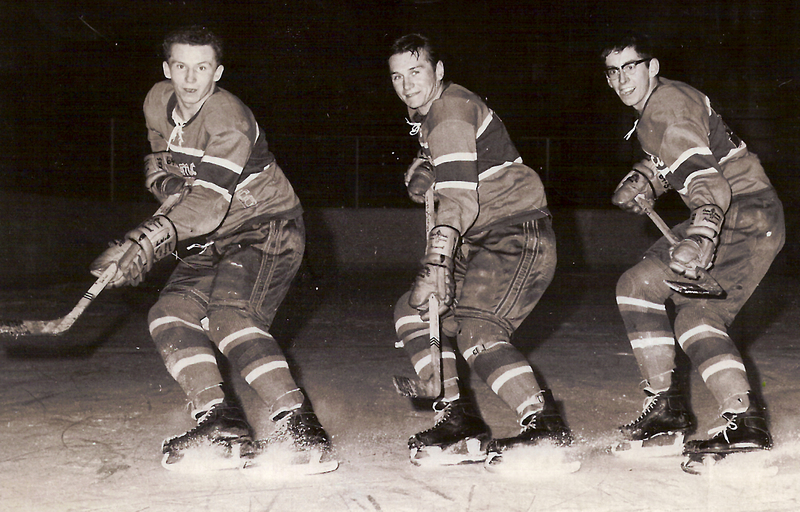 Fichuk had a goal and an assist as Broncos beat Roseau 5-3 in the quarterfinals of the 1965 state tournament. He scored a goal in International Falls’ 5-1 semifinal win over South St. Paul. In one of the most lopsided title games in state tournament history, Fichuk had two goals and two assists in the Broncos’ 7-0 blowout of Bloomington. Fichuk’s seven points led the tournament, and he was selected to the all-tournament team for a second-straight year. A smooth, powerful skater, Fichuk honed his skills in the early 1960s in what was a precursor to today’s specialized summer camps. Fichuk said he was in middle school when he spent two summers in Rockton, Ill., working out at the Wagon Wheel Ice Palace. 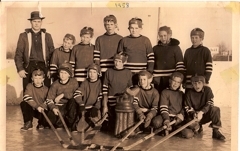 Fichuk’s uncle, Chet Wagner, was involved in getting the rink up and running, and Wagner invited Fichuk and some of his International Falls friends to spend the summer working and skating at the rink. A professional figure skating instructor spent hours helping develop the future Broncos’ technique. 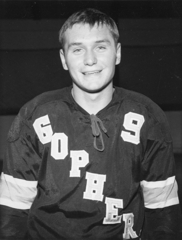 Fichuk accepted a scholarship offer to the University of Minnesota, where he scored 21 goals and added 24 assists in 31 games as a senior in 1968-69. 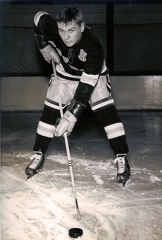 Fichuk had an invitation to attend the Detroit Red Wings’ training camp the following season, but military obligations forced him to decline. He played briefly in the minor leagues and was on track to play in the 1972 Olympics in Sapporo, Japan, before being sidelined by a shoulder injury. Fichuk, who worked as a salesman for W.W. Grainger, Inc., for 22 years, is retired and lives with his wife, Lin, on Rainy Lake near International Falls.